“Coming to Hamtramck” was the theme of the evening and come they did. 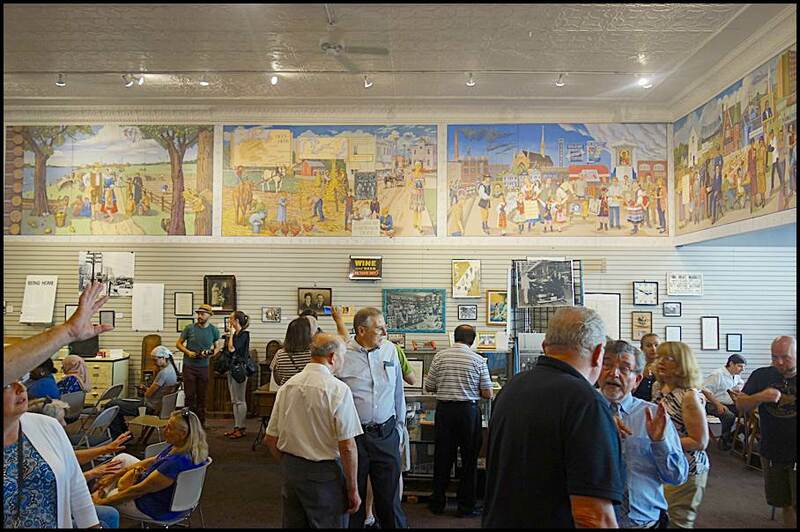 Hamtramckans old and new poured into the Hamtramck Historical Museum last Thursday to get a glimpse of the new Dennis Orlowski mural that tells the story of immigration in the city, village and township over the past 200-plus years. Last week’s unveiling attracted the single largest group for any event held at the museum, according to Kowalski, and it showed. Traffic was thick and parking was scarce outside; inside people stood around talking, others took nearly every seat closer to the screen where the presentations were to take place. In all, Kowalski says 176 people were counted. 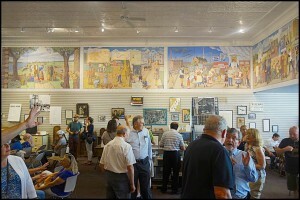 A large turnout of residents and guests attended the mural opening. 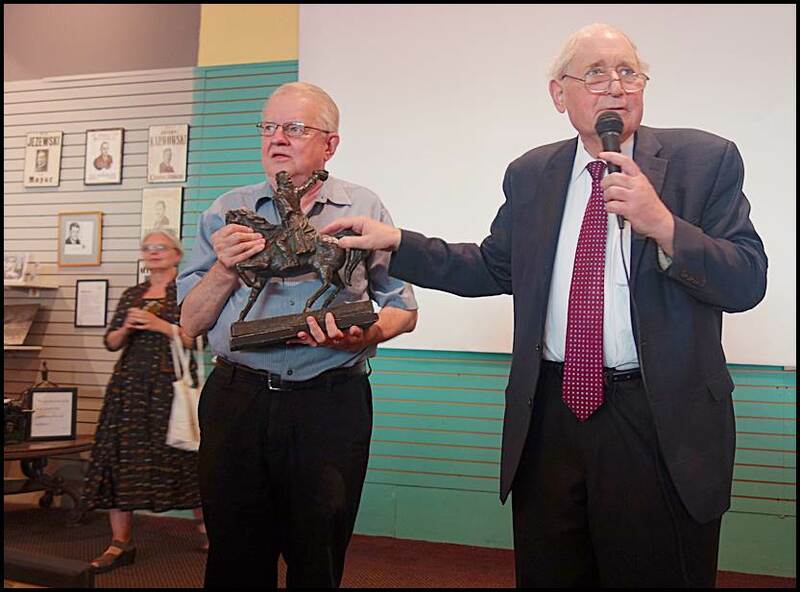 The program began with a surprise: an unexpected guest, former U.S. Sen. Carl Levin, a loyal friend to the city for decades, and wife Barbara came with gifts for the museum. 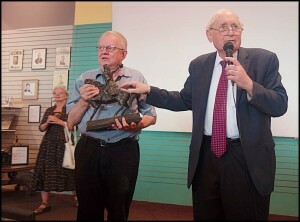 The senator presented Kowalski with a model of the Thaddeus Kosciuszko statue that was installed at the corner of Michigan and Third; and a letter from two Polish refugees who sought asylum in the U.S. in the early 1980s. Later, Mayor Karen Majewski spoke and Orlowski shared his thoughts on the mural, which contains images that represent native Americans that lived here before the continent was colonized by Europeans. The mural’s artist, Dennis Orlowski. The narrative continues with pictures of early French and German settlers; African Americans who began coming in steady numbers from the south for automotive jobs; immigrants from Poland, Ukraine, the former Yugoslavia — including Albanians and Bosnians — Yemen and Bangladesh. 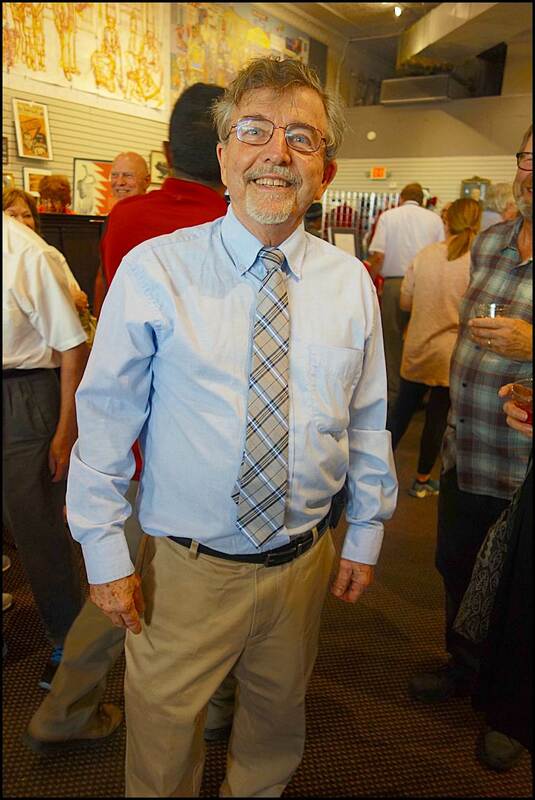 “Immigrants are viewed with so much negativity today that it is important to remember that in a sense we are all immigrants and it was the efforts of immigrants that built Hamtramck.